Due to the brevity of these articles, we try to break up some of our discussion into related topics. 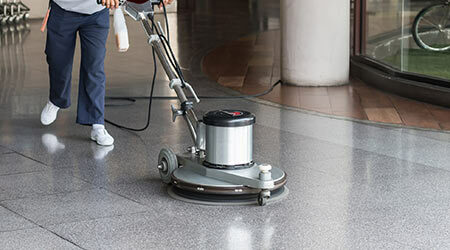 This is a continuation of floor stripping procedures which is generic in nature, due to the various types of floor, chemicals, equipment that need to be taken into account. It is highly recommended that you, the reader, take these general guidelines to your distributor so that he/she can provide product specific processes and products to achieve optimum results in your particular situation. • Floor did not strip completely. This is oftentimes due to incorrect mixing of stripping solution. I am amazed at how many people do not use a measuring cup or understand ratios. Please read label directions and test an area before proceeding. 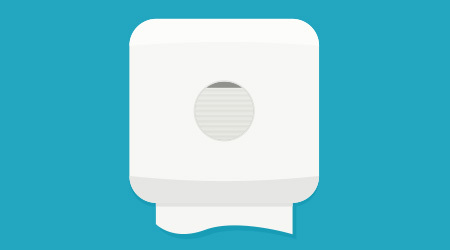 Make sure the pad (should be black in most cases) is rotated and has not become loaded. Note that a used pad may look OK but has had all the abrasive grit removed and is not effectively stripping anymore. • Baseboards are damaged. This is due to finish (think wax or seal) being applied to vinyl baseboards which were never designed for this purpose. Aggressive scrubbing and use of harsh chemicals can damage them to the point of needing to be replaced. Baseboards should be free of finish and have a clean, uniform look. • Wax is powdering. This can be the result of several different processes used incorrectly. I will address two possibilities in this response. The floor was not neutralized before finish was applied. I cannot go into pH in this article but if the floor is “hot” from stripper residue, the floor will powder and there will be no luster/shine. Another failure can be applying finish too quickly over the prior coat which means the first coat had not cured completely. The following coats sealed in the moisture and when the floor was walked on it literally crumbled from beneath. Take the time to do it right so that you do not have to waste the time doing it over.